The content in this topic that applies to online versions of Dynamics 365 is for versions prior to Dynamics 365 (online), version 9.0. 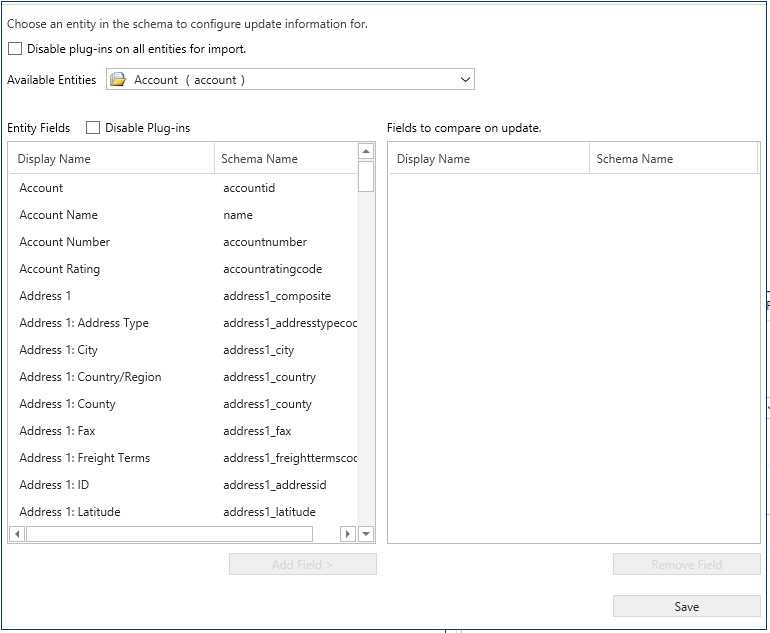 For the latest documentation, see Create a schema to export configuration data. Download the Microsoft Dynamics CRM SDK package. Extract the contents of the package on your computer. 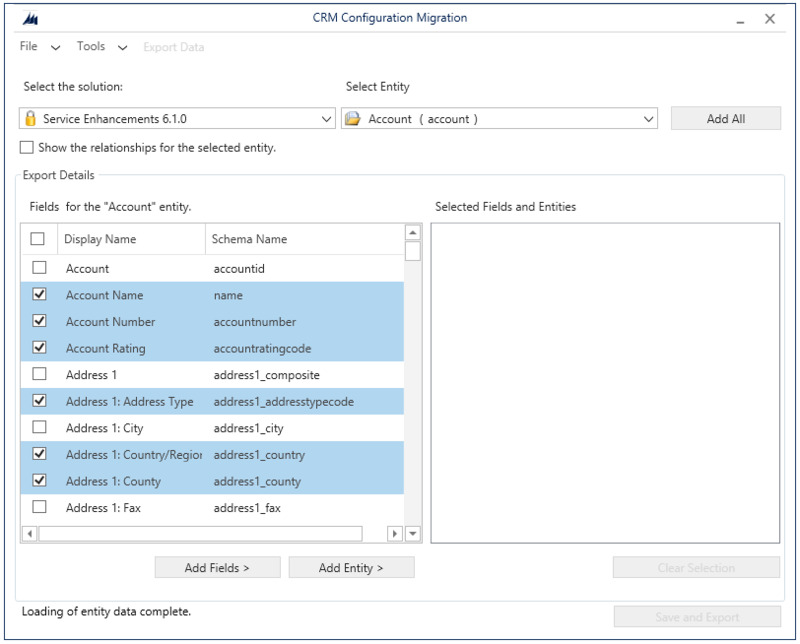 The Configuration Migration tool is available under the SDK\Tools\ConfgurationMigration folder in the extracted Dynamics 365 SDK package. 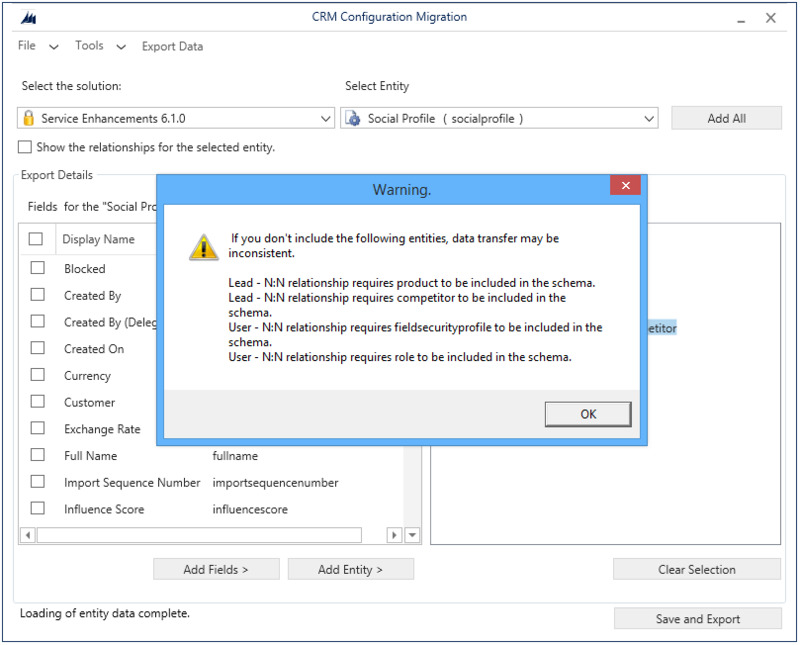 You do not need to install the Configuration Migration tool. 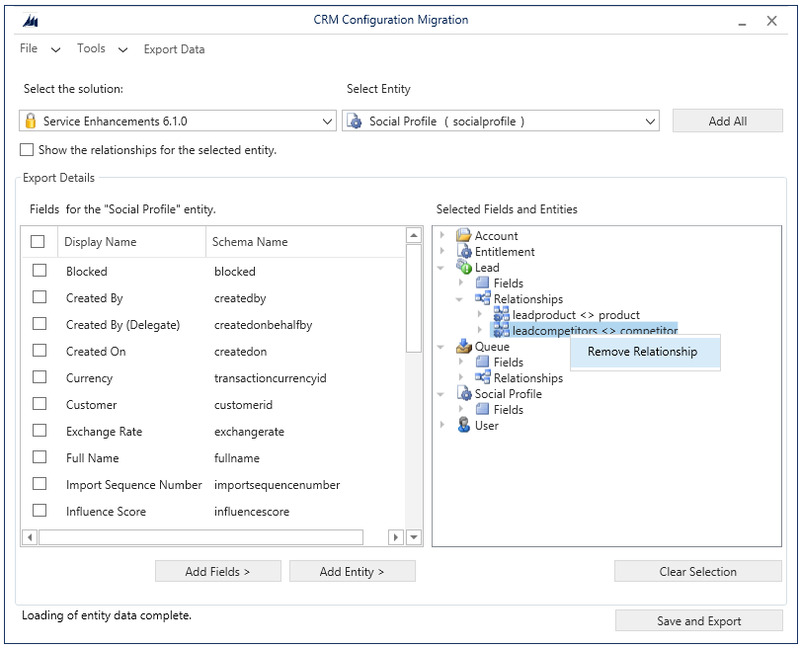 Run the tool by double-clicking the DataMigrationUtility.exe file in the SDK\Tools\ConfgurationMigration folder. On the Login screen, provide authentication details to connect to your Dynamics 365 instance from where you want to export data. If you have multiple organizations on the Dynamics 365 server, and want to select the organization from where to export the data, select the Always display list of available orgs check box. Click Login. 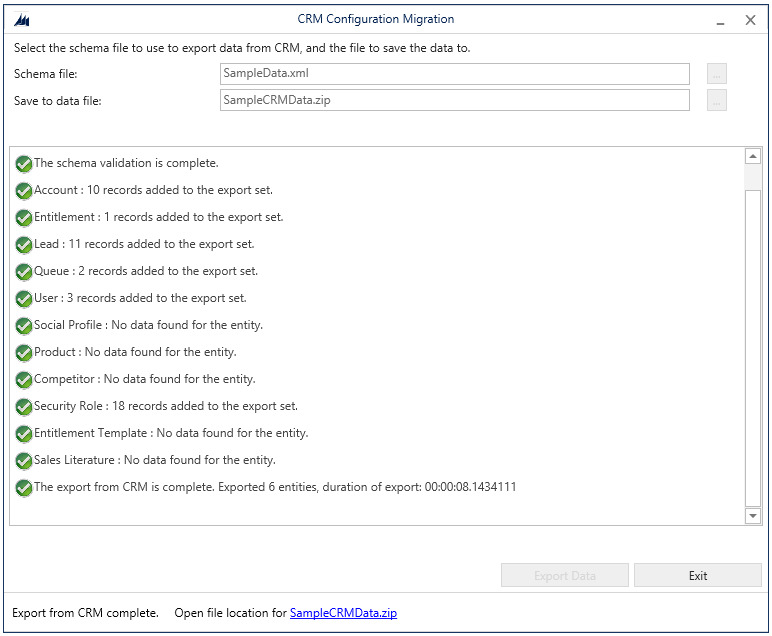 You can reuse a schema file that was generated using the Configuration Migration tool to quickly export data across Dynamics 365 instances without having to create the schema all over again.